DROWNTOWN: DROONTOON & DANTE IN DUNDEE! DROONTOON & DANTE IN DUNDEE! I'm not only going to be a guest at the Dundee Literary Festival on the 26th & 27th of October, but they've even put my face on the cover of the official programme , alongside some very esteemed company such as William McIlvanney. This year's Comics Day is subtitled Starblazers! 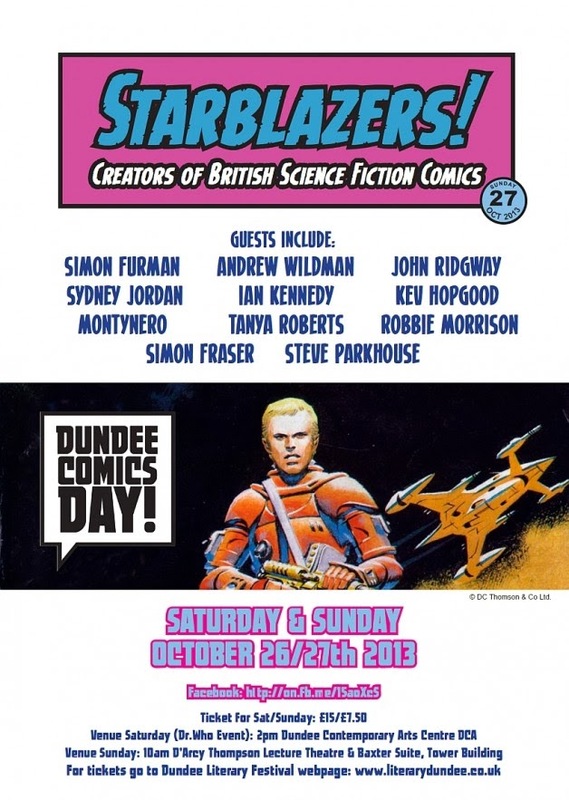 Creators of British Science Fiction Comics and features a host of guests, including my partner-in-crime on Nikolai Dante Simon Fraser, Simon Furman, Ian Kennedy, Kev Hopgood, Sydney Jordan, Annie Parkhouse and Steve Parkhouse, amongst others. Simon Fraser and I are onstage at 1.30pm on the 27th, at the D'Arcy Thompson Lecture Theatre and Baxter Suite, Tower Building, University of Dundee, although the event begins at 10am. 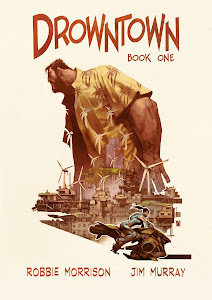 We'll mainly be discussing our 15-year collaboration on the adventures of Nikolai Dante, serialised in the iconic UK SF comic 2000AD from 1997-2012 and collected into 11 Graphic Novels - but will also touch on other projects, such as - you guessed it - Drowntown.